Before we start this article, let me introduce you to a very important signal. This, my friends, is the “Work in progress” warning. When you will see it in an article, it means that the ship that I am covering might change at some point before her official release. Now that this is clear, Ladies and Gentlemen, let’s take about these 3 premiums and what I think of them after the few games I played with them. If I had to summarize Montpelier in a single sentence, it would be the following: “It is a Cleveland.” That’s literally a Cleveland with 7 s reload instead of 6.5 s but a better sigma of 2.15 instead of 2.05 and finally 600 more HP. I will be direct, I enjoyed the Montpelier. As I said at the beginning, it is basically a Cleveland with some small modifications and the Cleveland is from the start a very satisfying ship to play in my opinion. The ship’s firepower is of course very good with the HE and fast reload. As for the increased sigma, it’s more a placebo change than anything. the grouping sure will be better but that’s not a sudden jump that will make the Cleveland guns look like shotguns. The armor, of course, remains the one of a light cruiser so keep an eye on the big bad battleship shells going towards you. If you are lucky, they will just overpenetrate, if not, well….. hope that it doesn’t happen. As for the rest, the maneuverability is good, nothing groundbreaking but the ship handles nicely. 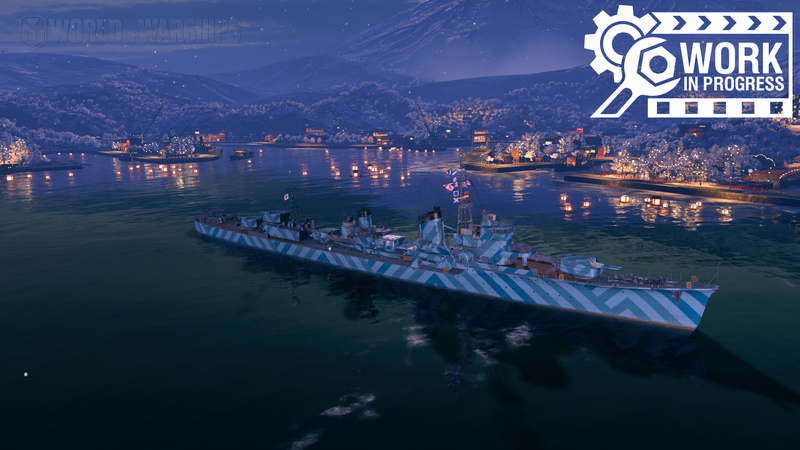 The concealment will allow you to get close from the action and with a full concealment build, destroyers will just have a 100 m buffer zone before entering your radar range. Currently, there is a “mistake” with the detectability by air of the ship. Indeed, just like the Yukikaze and possibly other test ships (would need to check on that one) she didn’t receive the buff to the detectability by air. Overall, the Montpelier was a pleasant experience. I would say that the ship doesn’t need any real change unless you would like her to be really different from Cleveland outside of the placebo changes and the premium status. One last thing, the ship doesn’t have an official permanent camouflage. I guess it will come later with something linked to the game Azur Lane because everything indicates that this ship, as well as the Yukikaze, will be used for the upcoming second part of the collaboration. Oh boy, the Yukikaze… that one was really not fun to test, I can tell you that. It is a Kagero without engine boost and with only F3 torpedoes as torpedo option. Right now, Yukikaze is simply sad to play and for multiple reasons. The very first reason is the matchmaking. 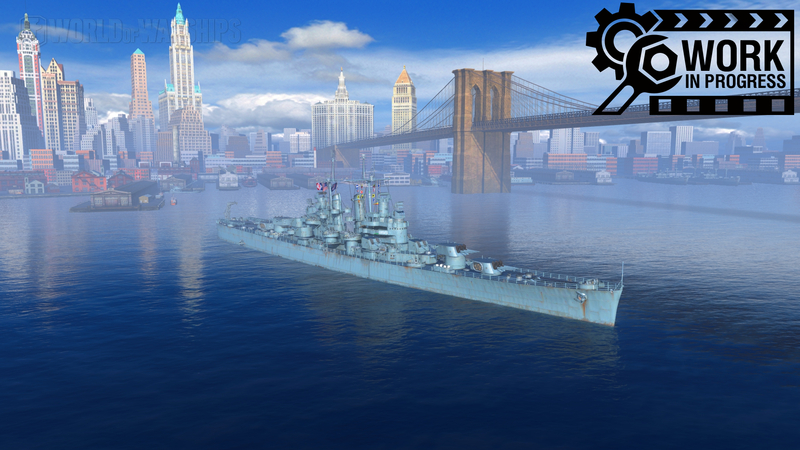 It’s a tier VIII destroyer and by such, it will very often be matched against tier X ships and of course, it is something that the ship doesn’t like at all. There is also the problem of radars. Due to the fact that she has 8 km torpedoes only, Yukikaze is forced to get close to enemy ships and that means sometimes getting deep into the radar range of other ships. It’s toying with a lighter while being covered with gasoline. Now, when the torpedoes connect, it is rewarding but as you know, torpedoes are not the most reliable when it comes to hit ratio. Other destroyers are of course something that you will rarely fancy meeting. While the Yukikaze has, overall, good firepower, the lack of engine boost means that if needed, she can’t escape fast enough to avoid taking heavy damage. When it comes to enemy aircraft carriers, you simply pray that you will not meet any of them. Just like the Montpelier, the Yukikaze doesn’t have the buffed spotting range by air. This means that you can only reach 3.1 km of spotting range by air. This gives plenty of time to the enemy carrier to see you and simply demolish you. As of right now, the Yukikaze is simply a worse Kagero in every possible aspect and is quite on the weak side. Another Community contributor proposed to give her a repair party (which would quite nicely fit her title of “unsinkable ship”) and I agree that it would be a good idea. However, I would also suggest giving her other torpedoes because with the current meta, F3 torpedoes and simply not a good idea at all. How to tell you that I simply loved playing the Neustrashimy. This little destroyer here is pure amazeballs. Compared to her last testing phase, her repair party was nerfed. It now only heals 1.5% of maximum hit points per second instead of 2%. If I had to give a quick summary of this ship, it’s a Grozvoi that trades a turret and speed for an improved repair party, much better concealment AND turrets turning at 360° which is soooo comfortable to have. I will say again, this ship is just amazeballs for a destroyer. The gun power is… let’s say decent. You only have a total of 4 guns in 2 twin turrets so when it comes to a DPM comparison, you are not winning any price. However, the shells hurt quite a bit and especially the AP. Sometimes, the AP might even hurt too much because I was overpenetrating the citadel of an Atlanta at 5 km. It was quite a funny situation. For other cruisers, unless we talk about the high tier heavy cruisers, you will not have much trouble at penetrating their citadel under 10 km. The torpedoes are also decent. They have a 10 km range and a relatively slow reload but you carry 10 of them, they have good speed and a good damage per torpedo. Now you might ask “How can this ship be amazeballs if her damage output is only described as decent?”. Good question Billy. It all comes down to her improved repair party. This is a blessing on this ship. Thanks to this consumable with a maximum of 3 charges, you are not scared of engaging targets and to take big damage in return. 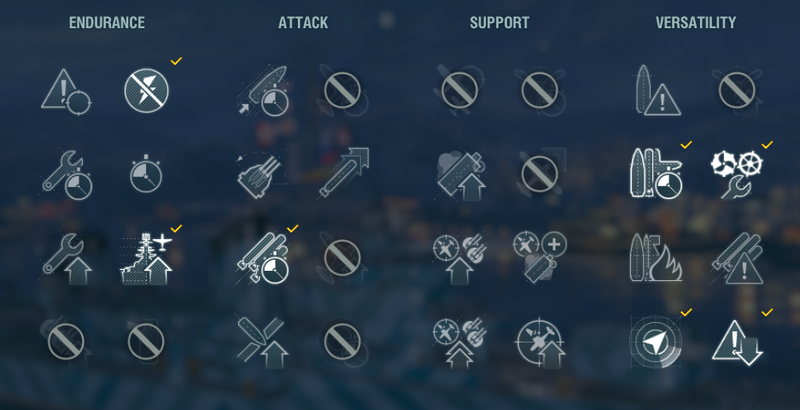 You can just happily start engaging at 12 km on cruisers and battleships and if you take a lot of damage, that repair party will allow you to get back to work right after. It really allows you to play aggressively which is something I really like. I was happily picking fights with half-health cruisers and winning them with some good old active maneuvering. The turrets turning at 360° are especially useful for this since you will not be limited to a single turret for too long if you do a full turn. HOWEVER, don’t think that you are unkillable if something like an Harugumo finds you, you will have a very rough day due to the lack of DPM. 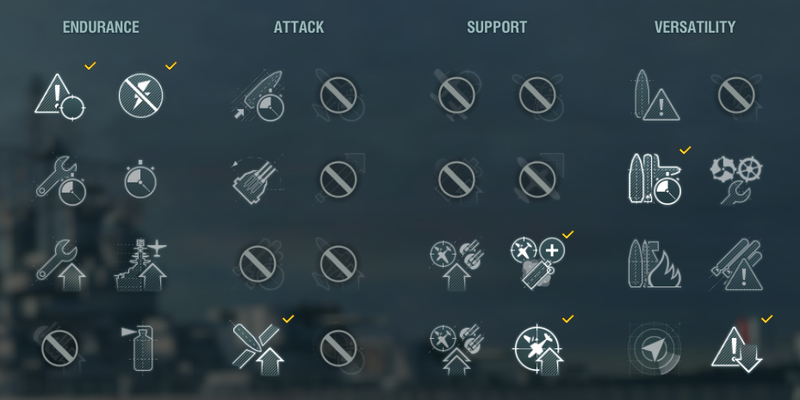 For the anti-air, it will allow you to annoy the enemy CV quite a bit but if he/she really wants you to go down then in the end, you might go down. Then again, in general, they didn’t really enjoy when I had my anti-air turned off and all of a sudden I turned it on and used defensive AA. It, of course, wasn’t an instant planes deletion but it scared them nicely. Now, is the Neustrashimy too strong? I would say no. Even if she encourages aggressive actions, thinking that you are unsinkable will for sure leads you to a painful death. Also, the limited number of guns will be a bullet in the leg for you if you are not able to line your shots properly or if one of your turrets gets crippled during a gunfight. If she doesn’t get nerfed, I can definitely see myself getting her for steel when she will be available. 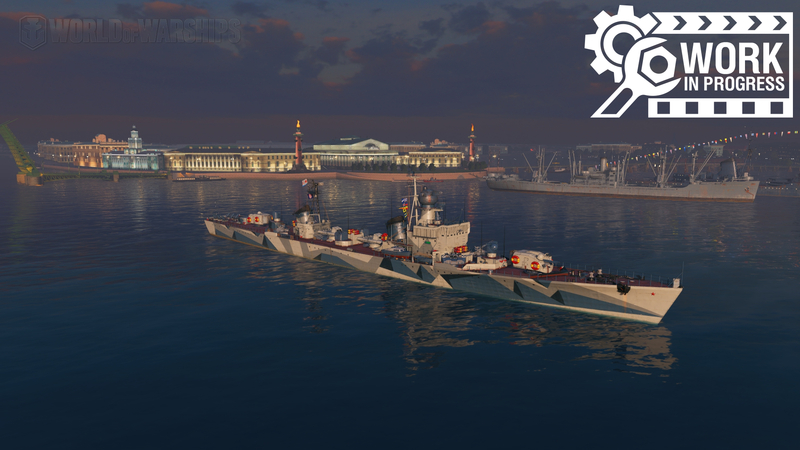 the japanese destroyer is trash and the russian one is amazing.